Choose our trusted Crime and Dine package for great entertainment and fine dining at one of our wonderful partner restaurants. 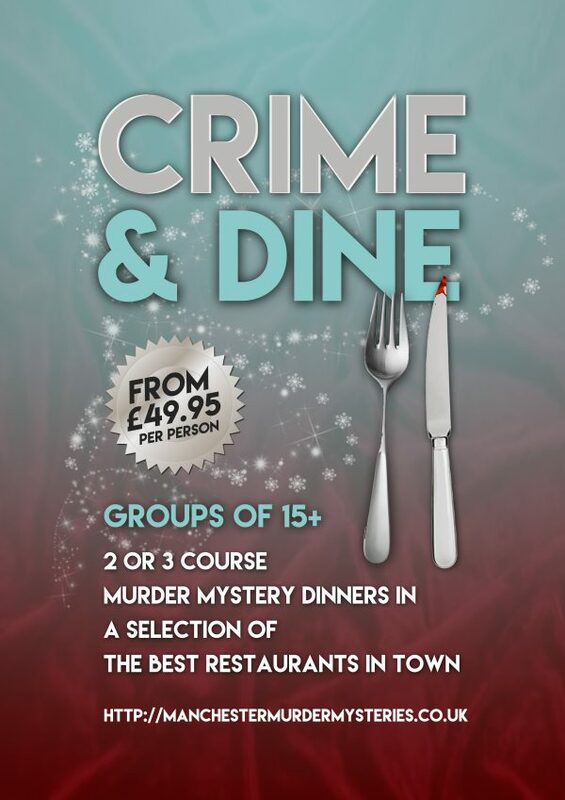 With Crime and Dine we will take your party to one of the best restaurants in town for a sumptuous 2 or 3 course murder mystery dinner. We work with a wide range of venues that cater for all tastes and requirements. We pride ourselves on only working with reputable and reliable restaurants, all of which we trust to provide the highest quality experience for our customers. Let us source and liaise with the restaurant for you so there’s no fuss. All you need to do is show up on the night. Cluedo murder mystery – Clue Done It?